Salmon aquaculture is devastating the world’s oceans and an international coalition of scientists, Canadian First Nations and tourism operators have called for a global moratorium. ‘We’ve seen a regional collapse of all sea life in the 20 years since the salmon farms moved in,’ said Chief Bob Chamberlin of the Kwicksutaineuk Ah-kwa-mish Canadian First Nation in the province of British Columbia on Canada’s west coast. ‘I can only shake my head in bewilderment that this is allowed to continue,’ Chamberlin told IPS from Gilford Island in the Broughton Archipelago, where 20 salmon farms are in operation. 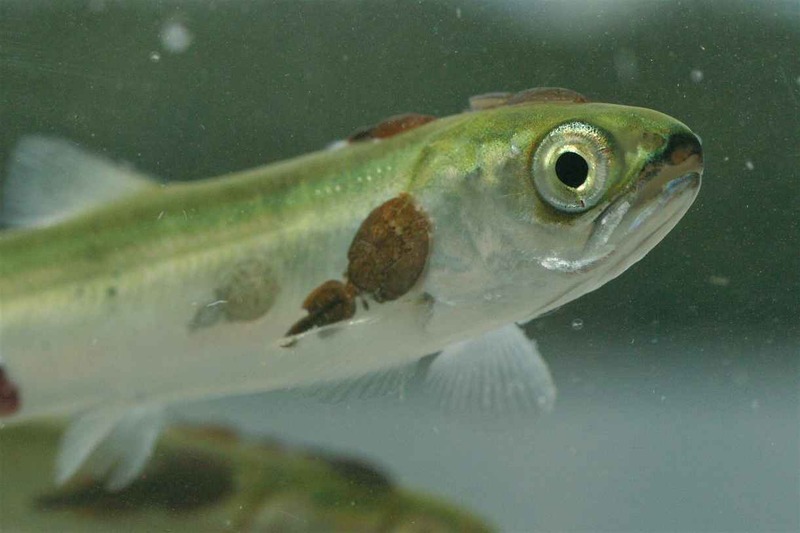 Scientific studies have linked sharp declines in wild salmon populations in British Columbia to disease and parasites originating in open-ocean salmon farms. Millions of non-native salmon have escaped ocean net-pens in Chile and have become an invasive species, transforming the ecology of local river systems. These and other unsustainable practices violate the United Nations code on Responsible Fisheries, the coalition from Norway, Canada, Chile, Scotland, and Ireland claim. An international declaration has been submitted to the U.N. calling for a global moratorium. There is little debate that salmon aquaculture is both unsustainable and environmentally destructive. Three or more kilogrammes of wild fish is needed to produce one kilo of farmed salmon. The ocean bottoms under and around the open-ocean net pens are usually devoid of any life, buried under the excrement of up to a million salmon overhead. ‘Salmon farm ‘shadows’ can extend three or four kilometres depending on the current,’ said Wolfram Heise, director of the marine conservation programme at the Fundación Pumalin (Pumalin Project), a private conservation initiative in Chile. These shadows are dead zones where there is nothing but mud and faeces along the bottom of the ocean. ‘Oxygen levels in the water are so depleted it sometimes forces the farms to move to new locations,’ Heise told IPS from Puerto Varas, located 1,000 kilometres south of Santiago. In Chile it costs only 100 dollars a year to ‘rent’ another salmon farm concession that gives the mainly Norwegian owners indefinite provenance over the region, including the ocean bottom. In less than 15 years, Chile has become the second largest salmon producer in the world with close to 700 farms, he said. Nearly all the Atlantic salmon grown here are sold to feed Japanese, North American and European appetites for salmon. But the true costs of these floating factory farms are ignored by industry and the government of Chile and unknown by the public, Heise said. Like land-based factory farms where far too many animals are being raised in confined quarters, heavy doses of antibiotic drugs and hormones are fed to the fish. Despite this, a potent virus swept through Chile’s salmon farms last year and has cut production in half. Unable to stem the outbreak, the farms simply moved to new locations hundreds of kilometres away, abandoning their local employees and the contaminated waters and seabed. ‘There is no investigation here to see if the virus is having an impact on marine species,’ Heise said. 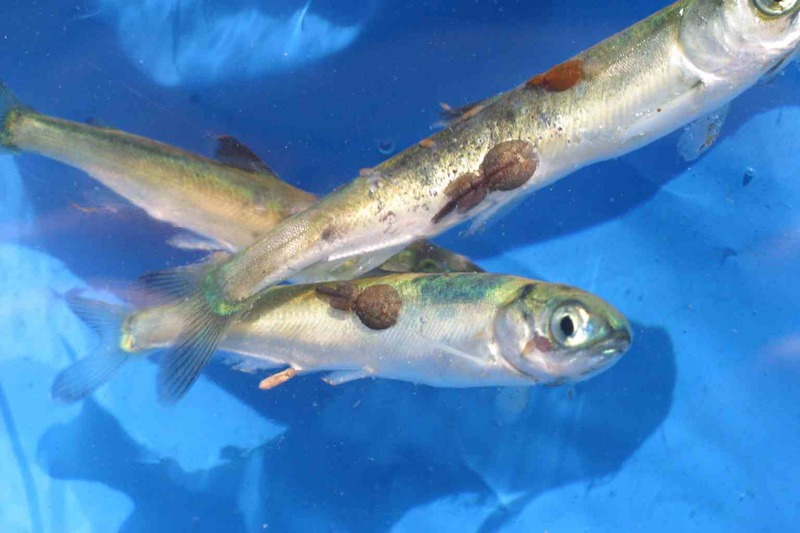 There are no native salmon in Chile, but Heise said some coastal fish have been found with symptoms similar to the virus called infectious salmon anemia. ‘It would be astonishing if the virus did not infect other species sooner or later,’ he told IPS. 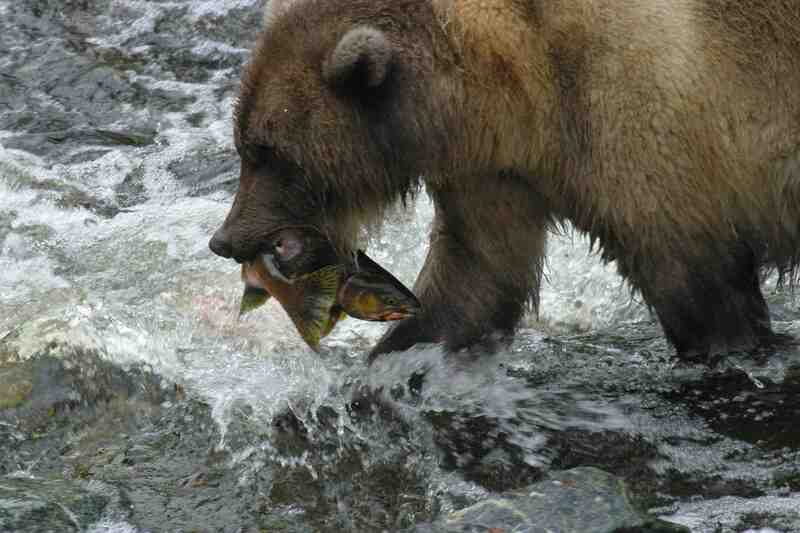 Millions of salmon have also escaped in Chile and are eating other fish species. They have begun invading rivers and lakes as far away as neighbouring Argentina where there is no salmon farming. Again, there is little investigation into the impacts of the escaped salmon and the industry denies there is a problem, he said. I just took out a portion of salmon to thaw for this evening’s supper. This was purchased at BJ’s in Cape Coral, Florida. The blue plastic zip-lock bag says “Premium Atlantic Salmon” on the front. However, on the back it says “From the cold, clear, glacier fed waters…” This seemed contradictory to me. Under “cold, clear, glacier fed waters” I understand fresh water on land and not saltwater in the Atlantic. So I did a search in Google and found this article which clearly indicates that the farms are in the ocean and not on land. So, is the packaging lying? After looking at a map there seemed to be another problem. Most of Chile’s coast is along the Pacific. Only a very short stretch in the very south is on the Atlantic. Does Aqua Farms have its farms in the Atlantic? From what I found online, most of the salmon farms are in the Pacific about halfway up the coast. The packaging of BJ’s Aqua Farms salmon seems to be deceptive in two ways then. Just pulled out a portion of salmon from the same BJ’s bag and read the ingredients and it says Farm-raised salmon colored with some sort of chemical…funny that the packaging states that’s caught in the fresh waters and harvested quickly to maintain flavor, yet they’re penned in the water and given chemicals to heighten color. I’m so disappointed because the flavor is really good and has been one of the first brands of salmon that I like…guess I’ll have to find something else. Wild salmon get their color from eating algae, insects, shrimp or other food containing “astaxanthin,” the same natural pigment that makes carrots orange. Fish farmers achieve the same result by adding minute amounts of astaxanthin, natural or synthetically produced, to the food pellets. You’ll find the same stuff on the shelf at your local health food store. The packaged BJ’s salmon that state “Atlantic Premium Salmon” are farm raised on the coastal waters of Chile and you will find only salmon and astaxanthin in the ingredients label. All salmon whether farm raised or wild caught contain astaxanthin. Are farmed salmon laced with antibiotics? Aquaculture experts explain that antibiotics have been used to ward off diseases that would sicken or kill fish – in precisely the same way they are used in many common foods. The antibiotics are added to the fishfood, primarily in the early, freshwater stages of their development, when the fish are most susceptible to disease. Two years later, when those fish are harvested, there is little or no trace left in the fish. Today, 95 percent of what people think they know about aquaculture salmon is either obsolete, or was not true in the first place. Environmental issues are certainly a main concern.